Eid holidays are just around the corner and there is no better time than now to be in Bali for the break. And if you want something more than just relax in your villa or by the pool, then Seminyak is the place to head to in Bali. It’s fun, it’s filled with energy and it has loads of glitz and glam to appeal to jetsetters from the Middle East. With its cool café society, renowned restaurants, buzzing bars and cutting-edge shops, Seminyak has transformed itself into Bali’s social capital. One of the most appealing spots in Seminyak is The Seminyak Beach Resort & Spa. 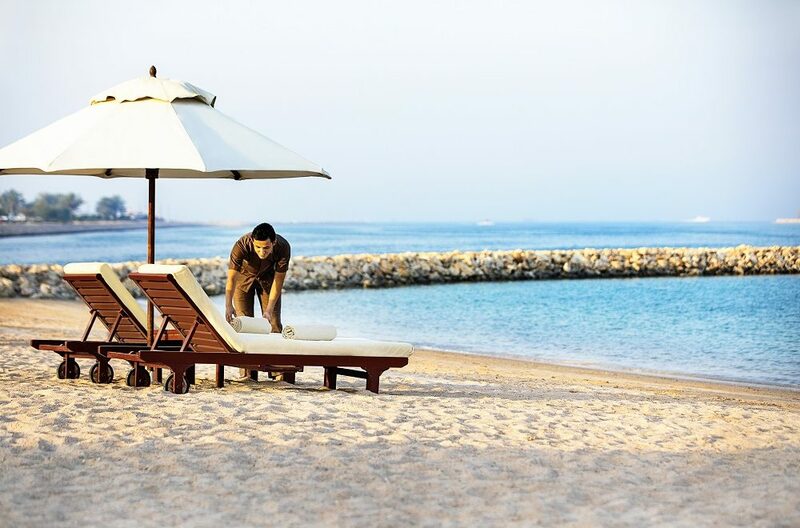 The resort hosts a range of facilities including villas, guestrooms and suites, a state-of-the-art fitness centre, the Kahyangan Spa as well as an infinity pool sitting on the edge of the oceanfront. At The Seminyak Beach Resort & Spa you are afforded the best of both worlds: a calming beachfront hideaway just a hop, skip and a jump away from Seminyak’s many attractions. The resort fits flawlessly into the local fabric of the island, with lush tropical gardens keeping it rooted in tranquility. But there’s plenty of frivolity to be had here too, especially since the resrt boasts some of the best restaurants and bars in town. 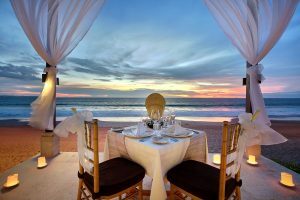 A meal or a refreshing sundowner at Sanje Restaurant & Lounge is accompanied by the sound of waves lap against the shore as you watch the sun slip away and say farewell to the day. Summers are all about freshly barbequed seafood so be sure to visit on Fishermen’s night where fantastically fresh platters of fish, crab and prawns are grilled to order. If you’d prefer a more jungle-like setting, then Santan Restaurant is an all-time favourite for South East Asian cuisine. Round your night off by joining the cool cats at Klass & Brass, a Hemingway inspired lounge where you can enjoy live music. While in Seminyak you’ll need to save some energy for shopping; this is where you’ll find all your summer resort wear. From slip dresses, romper shorts, playsuits, strappy evening dresses, cute camis, colourful kaftans, crochet cover-ups, eye catching bikinis, sandals, to woven bags and bold accessories, the boutiques in Seminyak are worthy of splurging.